James looked utterly alone — and perhaps that was fitting after another game in which he had done everything he could to lift his team to a win: 29 points, 13 assists, 9 rebounds. In the first game of the series, his effort was even more striking: 51 points, 8 assists, 8 rebounds. The losses did not diminish the artistry of his performance, though. Instead, they only seemed to underscore the beauty of his labor, without the glory that comes with actually winning any games. James, of course, is a comeback master. 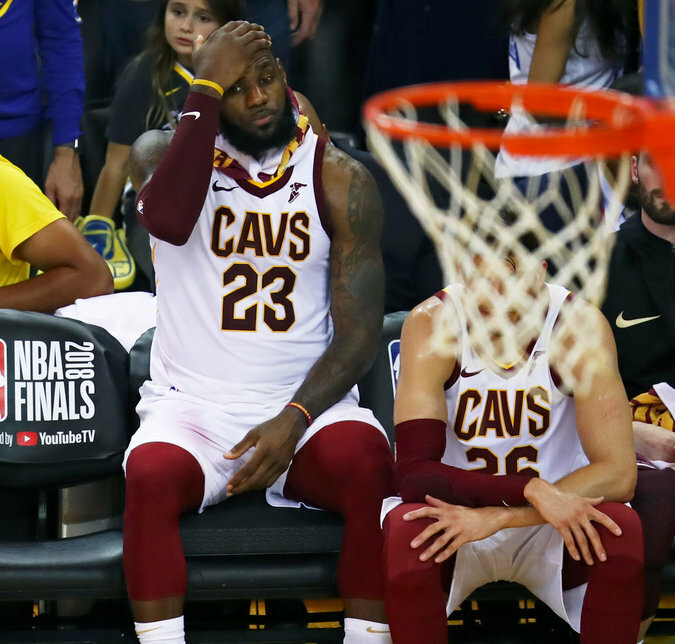 In 2016, his team was down 3-1 against the Warriors and he hauled them back, with a much stronger crew around him, to win the series in seven games. This series resumes Wednesday night in Cleveland, a home court where James makes magic happen. Yet, as he makes his eighth straight appearance in the N.B.A. finals, his trip through the playoffs this spring has had a different feel to it. Rarely, if ever, has one of the league’s supreme players — perhaps any league’s — chased a championship with less help.